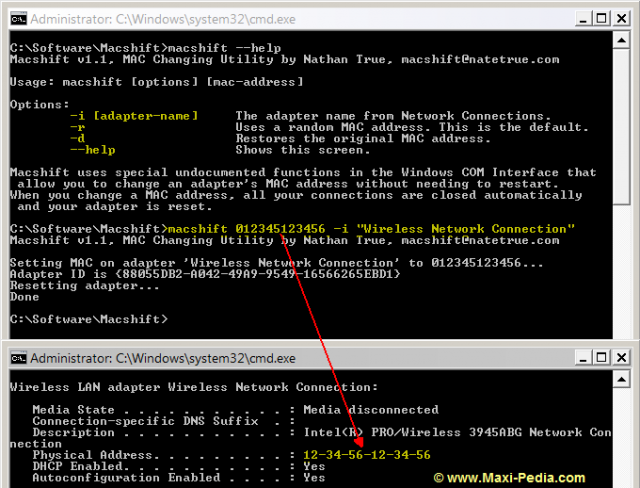 Macshift is a Windows-based tool which allows you to change your MAC address. You can find more details about this tool on the next page: Download Macshift. Execute the command line to change your MAC address. Verify results in ipconfig /all.